This guest post is from Mr. F, an Australian reader in his mid-20s who works for the government. We're often told to “spend money on what's important,” “spend according to your values” or “spend on whatever takes up most of your time.” So, for example, you should spend money when it comes to things like education, or family, or on a mattress. That's a good guide, but in day-to-day situations you often have to make a number of smaller decisions about when and where to spend money, and it's not entirely clear how you should be applying these guidelines. Even when you set aside money for specific categories, there's always an implicit choice to be made – should I spend the money now, or should I wait until later in the week/month/year to exhaust this budget item? For example, let's say you're an avid computer gamer, and you see a game or two on sale. You weren't really looking to buy the games now, but it would be nice to have them, and you would definitely play them and get hours of entertainment out of them. What should you do? In a lot of situations, you could justify either decision. If gaming is important to you and you would use the games, then a strong case can be made for making the purchase, especially if they're only on sale for a short while. On the other hand, it's not a strict need (nor even a strict want! ), and you may want to spend the money you have set aside for entertainment on other things. Importantly, you want to make sure the decision you make is being made for the right reasons and not just because you kind of happen to be in the mood to splash out, or not. In other words, you need some sort of objective standard. Specific/Measurable These two are closely related. You want to create rules that have clear criteria that can be objectively measured. This usually means having a numerical basis for the rules. For example, you can only get take-out once a week. A good way to know if you have an objectively measurable rule is to ask yourself if someone else could look at your spending, and easily work out whether it complied with the rule or not. Attainable There are really two concepts bundled up in this word. The first is that the rules you set have to be rules that you will be able to follow. There's no point setting incredibly harsh rules for yourself that you'll either be unable to follow or will follow but will be miserable doing so. The second concept, which is related to the first, is that to some extent there has to be some flexibility. The reality is that we are all human. We have finite willpower, we have changing desires and some days we just don't feel up to the task of being frugal. Now, I understand that this may seem like it conflicts with the idea of making specific/measurable rules, but ultimately it's about striking a balance. For example, you might restrict yourself to buying clothes only when they cost less than $50, but perhaps once a month you are allowed to splash out on an item above this mark. These little indulgences are important and in fact go a long way to helping you stick to your rules. Relevant This is really about explaining why you make the rule. You want the rule to be a manifestation of your overall personal finance philosophy. As you formulate your rule, you should think about whether it aligns with your broader finance goals. Timely This is perhaps the least applicable, but I still think it has some relevance. I think a good rule is one that is time-based, partly because it adds discipline but also because it makes it easier for you to “reset” if things go wrong. I've found these kinds of rules give me a good basis for measuring my decisions, and not getting caught in a situation where I try to retrospectively justify my actions. It also helps me avoid feeling guilty about spending money, or indeed, feeling overly cheap when I elect not to spend money. I've already decided what's important to me, and I've determined an objective standard for what constitutes sensible spending in advance. This means I can spend (or not) confident in the knowledge that I'm not being profligate (or cheap), and that I won't regret it later. If I buy lunch twice, at least one of them has to be a cheaper option (wherever possible). If I have bought lunch already in the week (or am planning to buy lunch later), I have to take leftovers whenever they are available. If it gets to Friday and I haven't bought lunch, and there are leftovers on Thursday night, I can elect to buy lunch on Friday if I want. These allow me to spend according to my overarching principles, but they also give me flexibility to adapt to the uncertainties of life. Perhaps most importantly, they're not so draconian that I can't follow them: I've got the option if I'm busy or having a tough week to buy lunch more often, but if things are going well and I'm up for it, then sometimes I will go the whole week without buying lunch. Another tough one I've found is going out in the evenings to meet friends. I think we can all agree that seeing our friends and family is an important priority and worthy of spending money on, but it can get out of control. Of course you can suggest a DVD night instead of going to the movies, or a potluck instead of going out to a restaurant, but if everyone's working and has a busy life, sometimes it's just not viable. So, inevitably you'll end up in the city, meeting people for dinner, drinks, movies, shows, etc. The rule I apply is that if multiple events are planned, and one of them includes a meal (say, catching dinner and then going for drinks), I try to substitute the meal by eating at home instead. For example, the other night I was going to a friend's house to play cards, and since a number of us worked in the city, they made plans to get dinner and maybe a beer after work, and then drive out to my friend's place. This represented an easy decision: While I wanted to see the guys and catch up, I knew I would be doing that anyway later than night. If I went out beforehand I'd easily end up spending $30-$40 on dinner and drinks. Returning, then, to the computer game example, I've found that, on a dollars-per-hour basis, computer games are one of the cheapest ways to entertain yourself (for comparison, just think about how many hours of entertainment you get from a $20 movie ticket). As a result, I allow myself to buy games that are well-reviewed or look like they'll be of interest to me, if I see them on sale. Alternatively, if I hear/read about a game, or there is a new game coming out that I want, I can only buy it if I can find it on sale, or if I can find it cheaper than what I can get it for on Steam (eBay is usually a good source of games, especially second-hand games). This means I only buy games when they are cheap, and I force myself to look for cheaper options to buy newer games. In my mind, things like “spend money on what's important” or “spend according to your values” represent the Why, whereas the concrete rules above represent the How. If you really want to put your spending philosophy into practice, you need to sit down and think about some concrete rules. It makes life a lot easier in the long run. What are some of your rules? There are 36 reader responses to "Creating objective rules for spending". I have never analyzed my spending rules Probably, I go by trying to be honest with myself about whether it’s a realistic need or just a momentary desire. And I sometimes make mistakes and regret purchases. If anything(!) costs more than Â£40 I need to rethink if I really need it. *When I do go out to dinner, I order water to drink (the price of soft drinks and alchohol give me a headache) and take home half for another meal. I like how focussed the rules are. Often times, we say things like “I’ll spend less on entertainment” or “I’ll eat at home more often” without getting specific about what “less” and “more” mean or how to apply those goals to our lives. 50% needs, 30% wants, 20% savings. Works like a charm, prevents overthinking. How to manage the 30% wants for maximum enjoyment is an art in and of itself, but it’s fun, as the trade-offs are non-life-threatening (e.g. wine vs. clothes vs. games vs. restaurants). I like this formula of 50/30/20! Will see if my spending fit into it. Thanks El Nerdo. I very highly recommend reading “All Your Worth”, the book that’s the source for this formula, as it makes a very clear hard distinction of what’s needs/obligations and what’s want; which prevents confusion, excuses and rationalizations. Plus, it has some other great ideas. Wonderful book, and for me a great transition from the crash-diet ultra-frugal approach. I’ve heard those numbers quite a bit, and I’ve gotten a bit frustrated by them because I think that they assume a level of income that not everyone has, particularly at the beginning of one’s career or for people who are, due to whatever life circumstances, just scraping by. I’m starting out in my career, making less than $25,000/year without benefits while living a fairly expensive city. This means that for me to afford rent, health insurance, and public transportation I am already exceeding 50% of my income. That’s not even getting to food, household expenses, etc. I’m lucky in that I have no debt and that I’m not a spender by nature so I can afford to set aside a portion for savings and for wants, but until I reach a level of income that is significantly higher than it currently is, I can’t do 50/20/30. I just wish that more people on PF blogs remembered that not everyone is coming from the same socioeconomic sphere and as such no advice is one size fits all. Agreed, SH. We watch our spending and we’ve cut a lot of fat from our budget, but there’s no way we can put away 20%. We’re also a family of four and have two dogs, so it seems like there’s always someone who needs *something*. We have to pay for school for my DD this month, a medical expense for me that was unplanned (but much needed), and vet expenses for my dogs. Every time I turn around, it feels like I need to pay someone. I guess what I’m saying is, we’re trying to do the best we can. I would love to sock away 20%, or even 5%, every month, but until our income increases dramatically, I don’t see that happening. Exactly! And I know, know!, that someone is reading my comment or yours and thinking (or composing a comment) “well, just get a job that pays more or move to a different city” or “well don’t have dogs if you can’t afford them or you shouldn’t have had kids or bought a house”. Which are all totally unhelpful. Yes, thank you, I have never thought of moving or getting another job or more income streams! And clearly dropping the husband, kids, dogs, and house by the side of the road and driving off is absolutely what you should do! Every man, woman, child, and dog for themselves! Sorry if I seem snarky or upset, I came to the comments here because I really liked this article: specific ideas about how to think about your expenses and ways to evaluate how a specific purchase might fit into your budget. But then I see the same sorts of comments I see everywhere and I just … sort of snapped. The moral judgements and one-size-fits all advice of PF blogs and comments are seriously getting to me. It’s like … You eat out?! You have dogs?! You live in an expensive city?! You have a morgage?! You have a low paying job?! All of these are wants! You shouldn’t have bought a house unless you could pay for it in cash and already had an emergency fund and a fully funded 401(k) and college funds for the kids! What, no! That’s not how life works. We make decisions, for good or ill, and do the best we can. 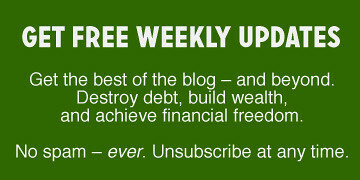 I come to PF blogs because I want to find ways to manage my money better. I don’t want for some random person on the internet to give the same platitudes again and again that I *know* don’t fit my life and financial situation and then get judged for disagreeing. OK….I understand the struggle when making small wages. I’ve been there. But, the decisions while there also matter more than ever. Owning a home is a decision versus renting/sharing housing. Having pets is a decision with their expenses. Saving for an emergency fund with true emergency use is a choice. Location of living is sometimes a choice. Think long and hard on cost of living in different areas. Pursuing certain jobs is a choice, sometimes. All of the above are very difficult, but they make a huge difference. Hey Susan — I’m well aware that there are decisions in where I live and my career and that it is my responsibility to try to make the best decisions I can. But two things: first, whatever decisions I might make to change my situation in the future, that doesn’t mean that the 50/30/20 advice (or other things) works *for my present*. Plus no matter what decisions I make, have made, or will make, none are 100% certain to work out no matter how good of a decision it seems at the time. Sometimes you have to live with the decisions that you make, or at least bear them for a while until you can find a way to make them better. Second, I graduated from college when the recession first hit. Most of my friends and I struggled: moving back in with parents or accepting subpar living situations, trying to find jobs, accepting jobs that pay little have long hours and few benefits just to be employed, experiencing all sorts of upheaval/job layoffs/companies closing, etc. When I see people touting “change careers” or “move to a cheaper city” they are ignoring the fact that for all of my adulthood most of my choices and those of my peers have been, to be frank, slim and terrible. I think that I’m doing as well as I can: like I said, I don’t have debt and I strive to put away money each month. But my situation does not fit into the worldview of many PF blogs and commentors and the moralizing I hear over people in my or Beth’s situation (just don’t have dogs, etc) ignores that sometimes the decisions we make in the past can’t be so easily erased. Instead of getting angry or close-minded you could give a try to reading Elizabeth Warren’s book before making blanket criticisms like you’re doing. She certainly didn’t write “All Your Worth” for one-percenters and trustafarians, but for working people of all stripes. I myself don’t make a lot of money, so I don’t need a lecture on the lifestyles of the privileged, which clearly I’m not. Which is precisely why keeping my commitments to 1/2 of the paycheck is so important. The 50/30/20 works when you’re earning a regular income, so that if you lose your job etc, you can pare down cost and live on that 50% while you collect unemployment or whatever. See how that works? The book was written and the formula was set up with this in mind. The 50 is your fallback position. If, while earning a regular income, you’re spending 60% of your paycheck on rent, 20% on food, 10% on transportation, 9% on entertainment, 1% on savings, have no medical insurance, you’re setting yourself up for disaster when the spice ceases to flow. Get angry all you want, but this is the truth. If you’re already stuck in the land of unemployment, then you’re in a ratio of 100% needs, which yes, I’ve been there, and not so long ago by the way, so I don’t need a lecture on how it’s hard to do without. I got into PF because I was desperate. You’re preaching to the choir. Please stop being angry and read the damn book. It’s a good book. Free at the library. Best wishes. Well, ignore that I spend more like 1% on entertainment and 9% on savings not vice versa; and ignore the fact that I, too, have recently had a bout with unemployment so I’m not exactly coming to PF for the kicks; and ignore the fact that for a while I didn’t have a regular income so I was making ends meet where I could; and ignore the fact that I pay 20% of my income on the cheapest medical insurance I qualified for because I know the dangers of being uninsured; and ignore the fact that in the city I live in the lowest amount that I have found for rent/utilities is still 40% of my income. My issue isn’t with the book. My issue wasn’t even with your comment. It was just the straw that broke the camel’s back. 50/30/20 is a great ideal and I understand the logic behind it. That doesn’t mean that when I put together my 40% rent plus my 20% medical insurance, I’m left with much options other than trying to adjust the 50/30/20 to something more like 70/15/15 while also trying to make more money so that someday rent and health insurance alone don’t make up 60% of my income. My issue is with the fact that sometimes our lives just don’t fit into the ideal. I’m looking for ways to get myself to a place where I can do 50/30/20, not for someone to tell me that if I’m not doing it now clearly I’m doing my financial life wrong. I don’t need yet another person on-line trying to tell me that if only I had made different decisions in the past or if only I understood XY and Z I’d be preaching it too. I want to make it to the ideal. But that doesn’t mean that my life fits into the ideal now. Ha ha ha, okay, but you realize I offered my comment as an optional “fixed rule for spending” and not as a personal criticism of your choices, right? Right? Because, really, I don’t know you, I don’t know what you spend, I didn’t have you in mind when I posted, and I sure hope you didn’t think I was preaching at anyone. Reason I love the ratios is I am just busy and tired and stressed out and I don’t have the energy or inclination to track every penny and make a line item for bus fare and another for tomatoes; the ratios simplify everything and just work, no need to overanalyze every 25 cents you drop into a parking meter. All I want to say– really– is– read that damn book! Just– read it! What you do with it after is your own business. But at least find out what it says before you make up your mind about it. It irks me that every time I hear people criticize those ratios or dispute the notion of what’s “want” and a “need” is from people who haven’t read the book and are just operating from hearsay. Because the book, in fact, makes the case that different ratios may apply in different stages of life! It recognizes that ideals aren’t always achievable! It’s not a preachy book at all! But I can’t summarize a detailed book into a comment, can I? Which is why I say over & over here– read-the-book! Read it! It will help cure your stress, I hope, and make your life easier. But seriously– seriously! Read the damn book! Just– don’t waste your energy arguing with me! I am nothing to you, I promise. I’m just words on a screen. You’ll forget me by tomorrow morning. Your life is yours to live, and you need tools! That book has tools! Good ones! Free at the library! Why refuse them? I get it that your life is tough at the moment and I don’t (can’t!) hold it against you. Actually I think you’re doing great with what you have, from what you say. And I get it that you’re frustrated, and if I was to guess why it’s because your “wants” ratio is so low you’re chafing at the constrains. Yes. Rent. Insurance. A high percentage of your money is already spoken for when you get it. And unless you’re a natural ascetic (I’m not, I’m more of the sybaritic/epicurean persuasion, and I have no plans to change) the constrains are going to eventually drive you off the wall. They did it to me after a year of, oh, what do they call it? “Gazelle-like intensity”. Sheesh. That may work for some. It did for me for a time. EVentually, it was too stressful. It was madness. I’m not wired for it. There are those who say I should continue, how dare I… but– they can’t make me. Ha! Balance. That’s the key for me. Yes, you may need a different number. Or you might need a different solution. Who knows. What you do is up to you. But don’t spit on a book you haven’t yet read! It’s a great book! Argue with St. Elizabeth Warren, not with me, not with the preachy internet either! I promise it will be worth it, reading her. I adore her. She’s fantastic. Alright, best wishes, and hang in there! Help is on the way! s.h., I don’t think you need to get hung up on the exact 50/30/20 percentage. Like you, I live in an expensive area (Boston), and so my rent basically takes up half of my net income. But, at the same time, I KNOW I don’t spend 30% of my income on wants. So maybe my formula is more like 60/20/20 (I actually haven’t figured it). That’s OK. I figure the most important thing is saving as much as I can. El Nerdo, if this is based on net income, is the 20% savings supposed to be in addition to your pre-tax retirement savings? So . . . everything that is ever written on a PF blog must in every case absolutely apply to every single person that might ever possibly read said blog? Sheesh. If it doesn’t work for you, then move on and find something that does. No need to insult someone who is trying to give one OPTION for making spending decisions, as a comment on a blog that was about making spending decisions! Sheesh. We used to eat at restaurants one dinner and one breakfast per week. In 2013, we have been out to dinner about 5 times, and we haven’t been to breakfast at all. I also like to stockpile food when it is on sale, but I find myself asking if I will truly use it. Yes to the mayonnaise, but no to the pickled artichoke hearts, no matter how cheap they are. I also find that when shopping for clothes, it is best to do it alone, rather than with a friend. Most friends are not frugal like I am, and often encourage me to try something on or purchase something I would have otherwise left at the store. Thanks for the post, I enjoyed reading it! We too have been thinking about our future retirement and wanting to go somewhere warm. I have made rules over the years but keep adding to them as I accomplish the ones I have. 1)create budget-give fuel and grocery budgets wiggle room for soaring prices. Use coupons, price matching. I base meals off sales and items already have that will expire soon. 2) Don’t create more debt–Credit cards, car loans,etc. 4)Think before you buy-stick to grocery list,ask yourself do I need or want this?I realized that even though I have bought all of my clothes on clearance, I had ALOT of clothes. I don’t need any more so I have vowed not to buy anything new until I have to throw an item away. EX: If my flat black shoes break, I can get another pair of those–nothing else. 5)organize your life–if you organize pantries, fridge and freezers, you can see what you have. Make lists of what you have, so when making grocery list, you know you already have some. Put more expensive, healthy foods to the front of fridge so you don’t waste them, and mark expiration dates on canned goods so you know when you have to use them by. I have many more rules I follow but I could write a book on them all!I just wanted to share a few. I have started setting spending rules for myself and I do see myself making some progress. The rules range from simple enforcements like switching off the AC and opening the windows or using public transportation more to important rules like refusing to incur any new debt. I stop myself from doing things mindlessly and try to be consciously frugal. As in any new endeavor, there are momentary lapses and I want to keep trying till they become second nature. before but I’ve never thought about apply it to my finances. Thank you for sharing another way for using that concept. I too am a twenty-something and trying to learn more about finance, this article is a good start . I enjoy reading this post. I like the 50/30/20 rules. However, i feel like 20% is too little to save (depending on your situation). I live in NYC so lunch is very expensive, especially if you want to eat healthier than the rest. My rules for lunch is the following I put aside $40/week ( i don’t drink juice, water or tea, from work is my beverage) for lunch which comes out to be $8 a day. I try to bring lunch as often as possible. if i bring lunch every day, I have $40 bucks to have drinks with girls on Friday. When I had consumer debt I would use the extra money from lunch to pay toward the debt in addition to the monthly payment. This strategy works well for me. 1. If I’m not socializing I can’t order dinner. This is because I want to save my “restaurant” line item for socializing, not being lazy. It helps that I like to cook and I’m fairly good at meal planning, but every once and I while I want to just have someone else do it for me. Reminding myself of why I have the restaurant line in my budget keeps me on track. And specifying “socializing” not “at home” allows for my roommate and I to have occasional pizza and movie nights — I might not be going out to socialize, but it’s a fun roomie bonding activity so it counts. 2. I can only have one beverage (usually tea) from a coffee shop per month. This forces me to plan ahead and make tea at home and take it with me in a travel mug and to save my once a month purchases for “emergencies” — usually traveling or having to get up early or stay late for work. 3. This isn’t so much a rule, but a backup plan. I keep a line item in my budget for $30 for taxis per month. That’s approx what it costs for one taxi ride to my apartment from downtown or the airport. I usually don’t use this, but I’m a single woman in my twenties — this helps me feel safer, knowing that the trains break down or some other emergency happens I have the money set aside. nice thinking. remember thought that your time is money. set a specific amount of time aside for game playing, and with rest of the time the time, work on some project to provide income or better still, passive income streams. This is a great post, I’m going to try getting my wife on board using this method as she’s a little freer with her spending than I am. I’d like to add that for me, the importance of time in the rule making process is very high. Time is what separates a good idea from a goal, and a goal from being a rule. For instance, “saving for my daughter’s college expenses” is a good idea. However, “saving $30,000 for her college tuition by the time she’s 18” is a goal and “saving $150 per month into a 529 plan before I allow myself to eat out for lunch” is a rule. A good idea is easily delayed, forgotten, screwed up, or used to make yourself or your spouse feel guilty about spending on other things. A goal can be very hard to prioritize unless you are close to the deadline, which makes it easy to fail. A rule is a very very specific and timely way to address a problem and immediately give you that all important “I’ve got that issue handled” feeling, even if you are years away from actually having it handled. My food bill is huge, mainly because I eat out all the time. This year, I’ve given myself a new rule which says I can only eat out at fancy restaurants (>$50) once a month, and cheaper restaurants once a week (~$20). It’s still a lot but much less than what I used to do! My food bill has gone down, but not hugely because I now entertain a lot more. We no longer go out to eat for birthdays and festivals, my friends come around for meals, and I offer to hold BBQs, etc. In a way, this has affected a wider group of people, and my cooking has gotten better. I now cook for up to 10 people every weekend, it’s great to catch up with family and friends and way better for our health and wallets. I really liked this post – frugal, practical — and best of all, realistic. For me it works best to have an overall budget every month that accounts for purchasing grocery store food, going out to eat/drink, clothes/fun, incidentals, and car expenses. I have a set budget for all these things and if I add up what I’ve spent in the middle of the month and notice I’m spending a little or a lot, that dictates how I spend for the rest of the month. Of course this isn’t a perfect method because, well, what if I need to pay for a towed car? If I go over my budget substantially one month, I try to account for that in the next month’s spending or in how much effort I put toward making money. It generally is a good system but I like how this article offers principles to live by beyond numbers. OK, I have not actually read the post yet, but am I the only one who sang out, “Mr. F!” in a British accent? I always put things I want in an amazon shopping cart and wait a few days to see if they stick. Rather than making a set of complicated rules that you have to remember, isn’t is simpler to use your budget as your guide? For example, you don’t really need your set of lunch rules if you simply have a monthly budget for eating out. If you’re deciding whether to bring lunch or buy it, you can just look at your budget and see how close you are to your limit (you can use mint.com or a similar service to track as you go). If you have the room in your budget, great. If not, well you better bring leftovers. It’s much simpler than trying to make and remember different rules for each kind of situation you might encounter. And it works for every kind of spending, since you can simply make a budget for each category. It also keeps you aware of how each decision fits into your total financial picture, rather than each decision existing within its own set of rules that don’t correlate with the others. I think the point about setting boundaries for yourself is a good one. I just don’t think it needs to be made as complicated as it is here. Thanks for the post though. I like this post – I haven’t thought about it in this way before. I guess we do have rules, they just aren’t set in stone. Like, I try to pack my lunch most of the week and only go out with coworkers on Friday. This would be a good idea to sit down and create some rules with my husband – we just go out when we feel like it. This is an interesting concept but your rules confuse me. :) Much easier to just say “I’m not going to eat out for lunch”. Great tips for avoiding impulse spending, and living outside one’s means. Thanks for the great post.